The two-fisted heroes of the Roaring Twenties and the Thrilling Thirties were hard-boiled detectives and beautiful dames, investigators of the supernatural, masked vigilantes, and other gun-toting adventurers. And when their foes were too big to put down with fists or pistols, they weren't shy about bringing out the really big stuff. 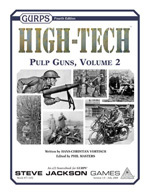 High-Tech: Pulp Guns, Volume 2 covers infantry rifles, machine guns, cannon, grenades, and even flamethrowers! 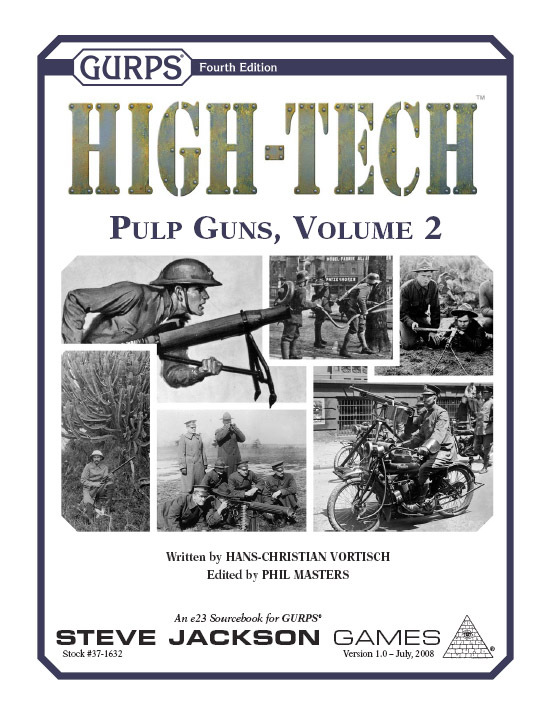 In addition to the military hardware, the book also describes many hunting and gallery rifles, flare pistols, and similar civilian arms. Lock and load for a World War II campaign, or any Cops or military action in the '20s and '30s! Check out the rest of the Pulp Guns line!